Fighting for the Working Class! Tacoma Wobblys charter a new Branch! 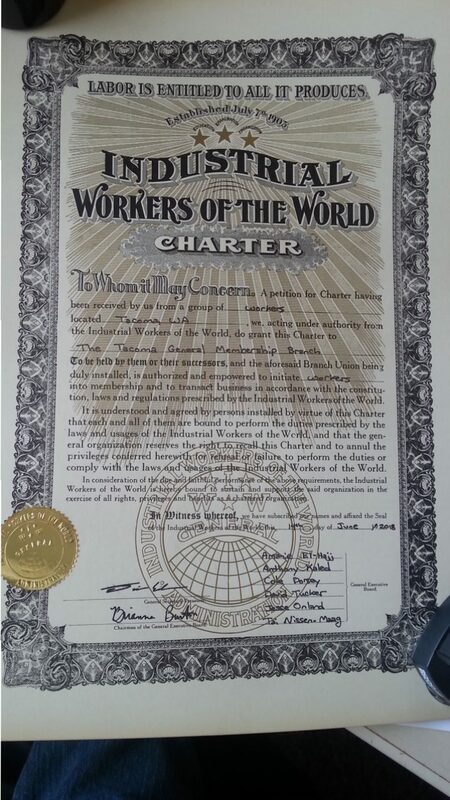 We wish to congratulate our fellow workers in Tacoma upon the chartering of their new General Membership Branch of the Industrial Workers of the World. This is the first step in a long march towards a better world! 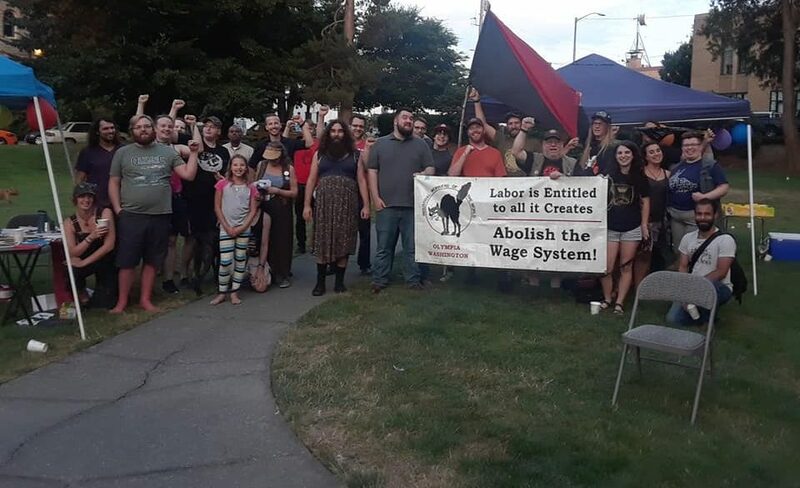 This is a meeting of IWW members in the Tacoma area who are organizing a local branch. This is the monthly meeting of IWW members in Tacoma to organize a branch there. For more information email secretary@OlympiaIWW.com. Announcing the Little Big Union! If paying dues please indicate that you are. Please also let us know which months and at which rate. Thanks and Solidarity! Sign up for our email announcements!